RG400 Cable Assemblies are Ideal for RF Cable Jumpers in Wireless Communications Systems needing High Temperature resistant Low Loss Communications Cable for Short Antenna Feeder runs requiring an easily routable low loss RF cable but. RG-400 excellent cable loss is another excellent hallmark feature of RG400. The FEP (Fluorinated Ethylene Propylene) Jacket give the cable unmatched temperature resistant to 200degrees Celsius. 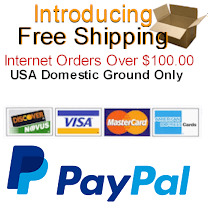 RG-400 Cable specifications include a FEP outer jacket (.195” dia. ), Stranded Inner Conductor Silver-plated copper (0.038" dia. ), and Extruded PTFE (polytetrafluoroethylene). M17/128-RG400 Cable Jacket is not UV resistant and is used exclusively indoors. The Double Shield SPC (Silver-plated copper) aid to effectively protect against RF and electrical Interference. in exact accordance with the MIL-DTL-17 specification. Field Components maintains a wide variety of M17/128-RG400 Cable connectors, including all common interface types, reverse polarity, and a choice of solder or non-solder center pins. Most RG400 connectors employ crimp outer attachment using standard hex crimp sizes. For RG-400 Crimp tools we recommend the .213" crimp die. 1.0/2.3 RG-400 M17/128 Cable Assemblies have a 50ohm Impedance and can operate to a maximum frequency of 10 GHz. Quick installation using push-pull coupling system. 7/16 Din RG-400 M17/128 Cable Assemblies From Field Components. Cables Features low VSWR providing improved system performance. Internal gasket protects against dust and water per IP68. BNC RG-400 Cable Assemblies using Mil-C-17 128-RG400. RG400 BNC Cables using QPL Coax. Including Straight BNC Male, Reverse Polarity, BNC Female, Right Angle and Bulkhead Versions. 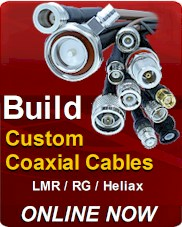 MCX RG-400 M17/128 Cable Assemblies with quick connect/disconnect snap-in mating reduces installation time. Designed for 50ohm systems up to 6GHz. Custom Cables Upon Request. MHV RG-400 M17/128 Cable Assemblies designed for cable high voltage applications up to 5000 volts. Coupling/Mating size similar to BNC. (Will Not Mate to BNC). MHV also know as Miniature High Voltage connectors. Mini UHF RG-400 M17/128 Cable Assembly provides excellent RF performance for applications up to 2.5 GHz. Mini UHF RG-400 designed for applications where size, weight, and cost factors are critical. N Type RG-400 M17/128 Cable Assembly for applications requiring performance up to 11Ghz. Available in Straight, Bulkhead, Male, Female and Right Angle designs. Custom Labeling and Connectors with short Lead times. SMA RG-400 M17/128 Cable Assemblies provide excellent electrical performance to 12.4GHz. SMA Connectors for RG400 are available in Right Angle, Straight, Male, Female, Bulkhead, and Reverse Polarity Designs. 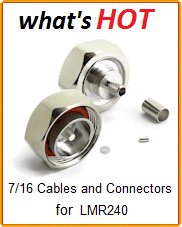 TNC RG-400 M17/128 Cable Assemblies for applications needing excellent performance to 11GHz. TNC RG400 Cables are available with Standard and Reverse Polarity Male and Female Connectors including Right Angle, Bulkhead, 4 Hole Panels Mounts. UHF RG-400 M17/128 Cable Assemblies are great for low frequency application from 0.6 - 300 MHz. UHF RG400 Cables are also know as PL259 ham radio connectors. SC Right Angle Male RG400 Cable Assemblies are using only QPL approved M17-128 cable. Features FEP High Tempuratue Jacket and Double Shield RG-400-Cable. SC Right Angle Male RG400 RF Cables available in standard and custom lengths. SC Male RG400 Cable Assemblies are using only QPL approved M17-128 cable. Features FEP High Tempuratue Jacket and Double Shield RG-400-Cable. SC Male RG400 RF Cables available in standard and custom lengths.